The house is open to all visitors – individuals and groups up to max. 30 people: local church councils, Christian and other organizations, who want a quiet place within the city to reflect on contemporary issues and who wish to be informed of the life and work of Dietrich Bonhoeffer. 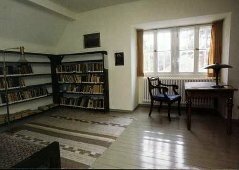 A permanent library and a collection of videos, DVDs and CDs and other materials help to answer questions about the relevance of Dietrich Bonhoeffer for today. These resources have to be used in the house. 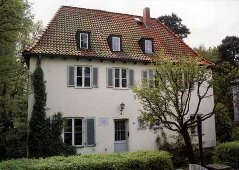 Please make contact early enough to arrange an appointment for your visit or if you need assistance in preparing your trip to the Bonhoeffer-House. Take me to the Bonhoeffer Haus Website!